Most cloud service offerings are based on homogeneous commodity resources, such as large numbers of inexpensive machines interconnected by off-the-shelf networking equipment and disk drives, to provide low-cost application hosting. However, cloud service providers have reached a limit in satisfying performance and cost requirements for important classes of applications, such as geo-exploration and real-time business analytics. The HARNESS project aims to fill this gap by developing architectural principles that enable the next generation cloud platforms to incorporate heterogeneous technologies such as reconfigurable Dataflow Engines (DFEs), programmable routers, and SSDs, and provide as a result vastly increased performance, reduced energy consumption, and lower cost profiles. 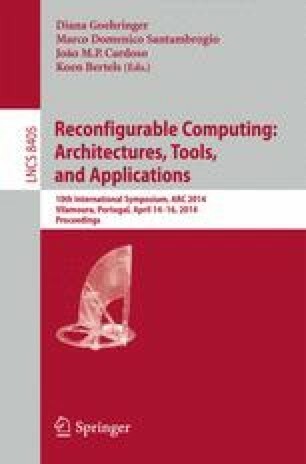 In this paper we focus on three challenges for supporting heterogeneous computing resources in the context of a cloud platform, namely: (1) cross-optimisation of heterogeneous computing resources, (2) resource virtualisation and (3) programming heterogeneous platforms.